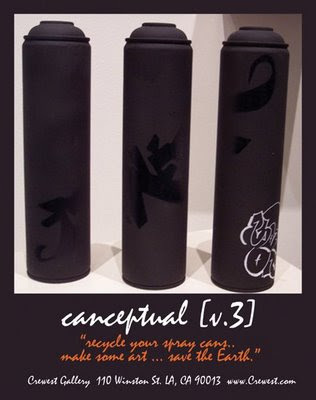 "Recycle your spray cans...make some art...save the Earth"
Crewest saves the Earth one spray can at a time. For the past 7 years, Crewest has been at the forefront of recognizing graffiti art as a unique and valid art form with aerosol cans as one of it’s primary mediums. In support of the many artists who have chosen to use their talents for something positive, Crewest celebrates their 7th Year Anniversary and brings you the third installment of CANceptual. 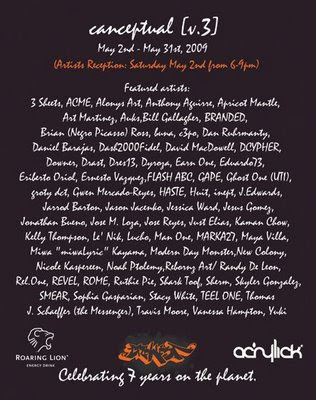 An art exhibition giving young artists an opportunity to showcase their work alongside known artists. Crewest encourages artists to find those old rusted cans and recycle them by turning them into fine art pieces for sale at the gallery.